After last issue's cliffhanger, I fear that Batman #25 is something of a disappointment. Promised our first dramatic battle between The Batman and The Riddler, we are left instead with a high-action escapade rather than a battle of wits. 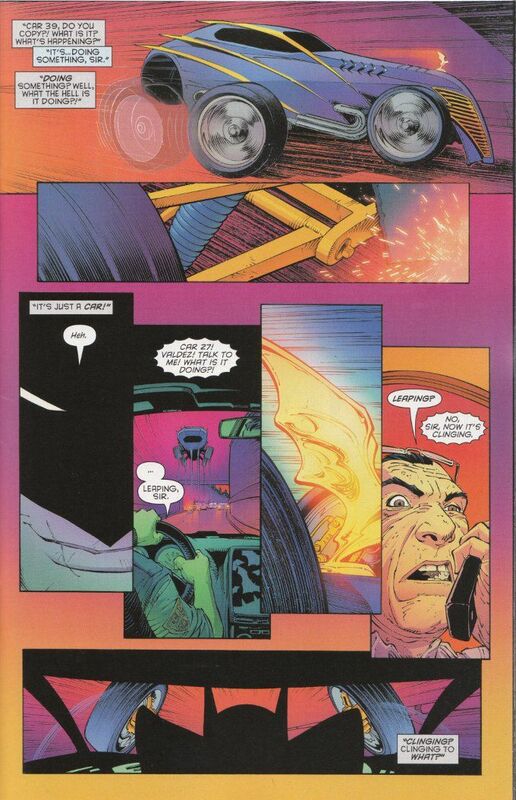 The story here is about Batman contending with the efforts of a police department more concerned with catching him than the criminals who are taking advantage of Edward Nygma's cutting all the power in Gotham City and the chaos caused by the approach of a major hurricane. Putting aside my disappointment over a serious Riddler deficit, there's very little to recommend this issue on its own merits. We do get glimpses of certain Batman mainstays before they became the characters we know and love. We also get to see some of Batman's wonderful toys, such as the first Batmobile - which more closely resembles Speed Racer's Mach 5 than any previous Batmobile. This is fascinating on an intellectual level but ultimately as pointless as this issue's introduction of a new villain - Doctor Death. The uninspired name says it all. 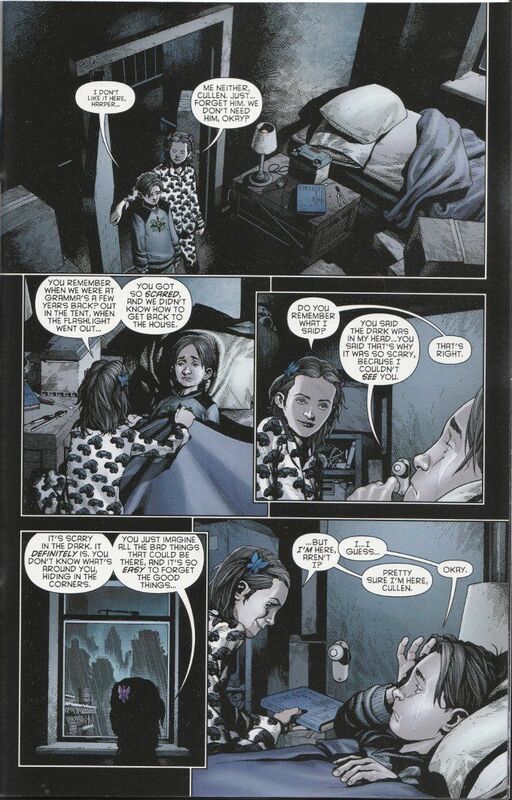 Even the back-up feature is lackluster, focusing once more upon Harper and Cullen - Scott Snyder's favorite P.O.V. normal Gothamites. The best bit of this sequence is a two-page splash poster depicting all the heroes that were in Gotham helping people during the disaster. This is marred only slightly by the fact that this page primarily exists as an advertisement/check-list for all the Zero Year tie-in issues one might have missed. Thankfully, the artwork is top-notch as usual. Greg Capullo and Danny Miki add a manic energy to the main portion of the book. Andy Clarke adopts a spookier, more somber tone with the back-up feature, perfectly capturing the aura of a dark and spooky night as seen from a child's perspective. Alas, this is not enough to make this issue worth buying. Particularly with its' inflated $4.99 price tag! My advice would be to wait for the collected edition of this storyline. It may well prove cheaper in the long run.